EVERYDAY MOMENTS WITH HUMMING RIGHT ALONG. Note: You know that sweet Etsy Swap I participated in a few months ago? And you know how I was paired up with some lovely ladies? Well, this is just proof at how amazing the blogworld is. And how amazing my swap partner is! I'd say that I'd let you decide for yourself, but I already know you're going to love what Lacey has to say. first of all, i'd like to thank kiki for letting me be a part of this great series. i am a big believer in enjoying the small moments in life, and this series captures that perfectly. thank you, kiki! for the past couple of weeks, the weather has been on its very best behavior. it's like i woke up one morning and spring had arrived. the mornings are still a bit cool and breezy and the afternoons are warm but not humid. flowers are blooming, trees are a million shades of green, the sky is the prettiest shade of blue. it's this kind of weather that has me itching to get outside and enjoy each possible second. 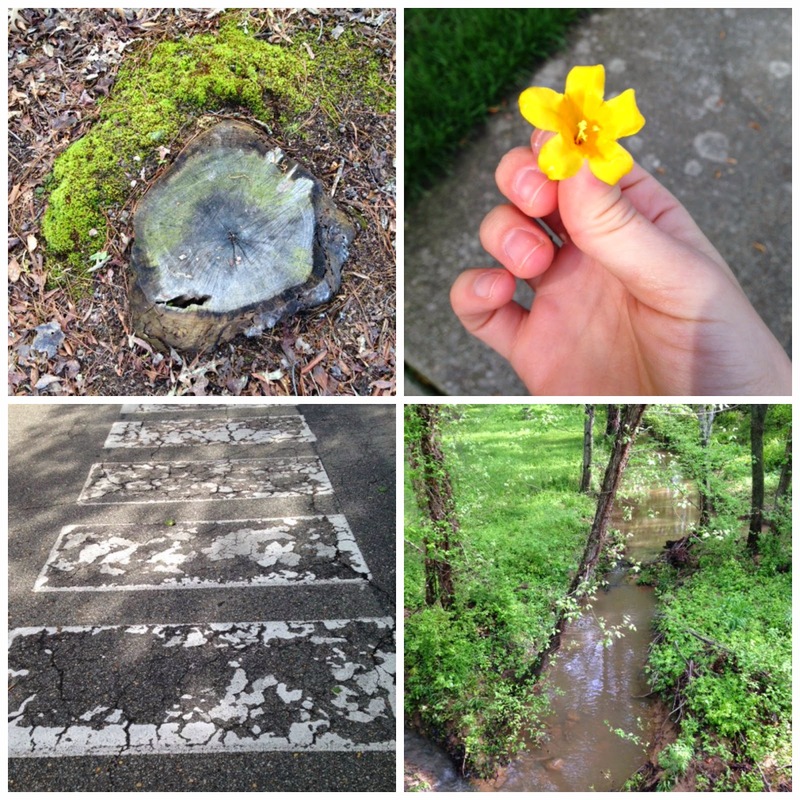 i recently took advantage of a beautiful spring morning and went for a long walk around the neighborhood where i live. my roommate and i live in an apartment complex that connects to a great paved sidewalk loop around a small business park. i frequently take this loop when i go out for a run, but i don't walk it very often. 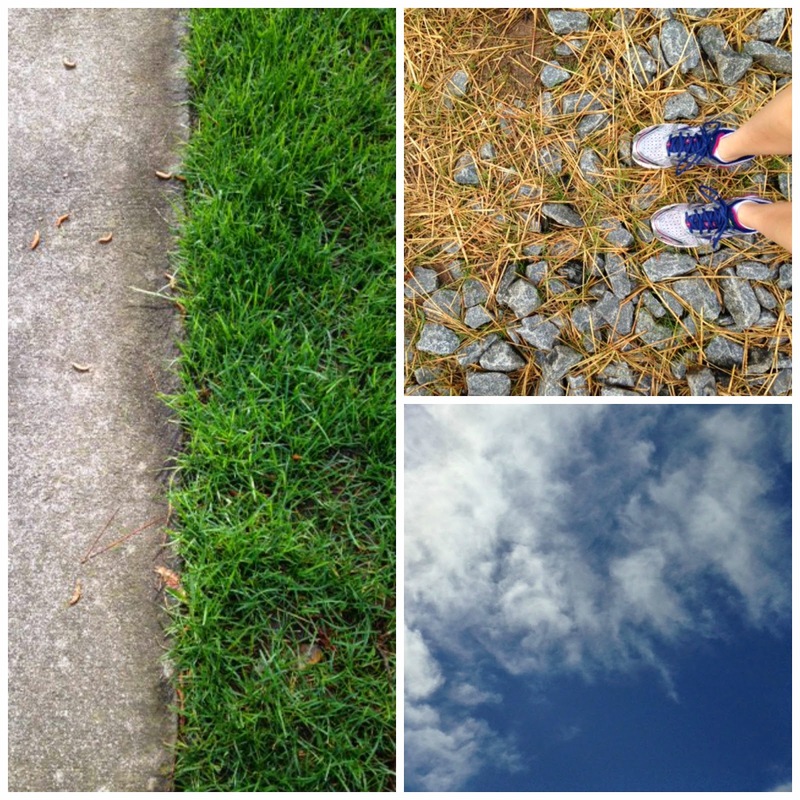 without the distractions of my running pace and my music, i was pleasantly surprised at how much more aware i was of my surroundings. there was so much to stop and admire. i took my time and walked slow and stopped whenever i saw something that i wanted to take a closer look at. 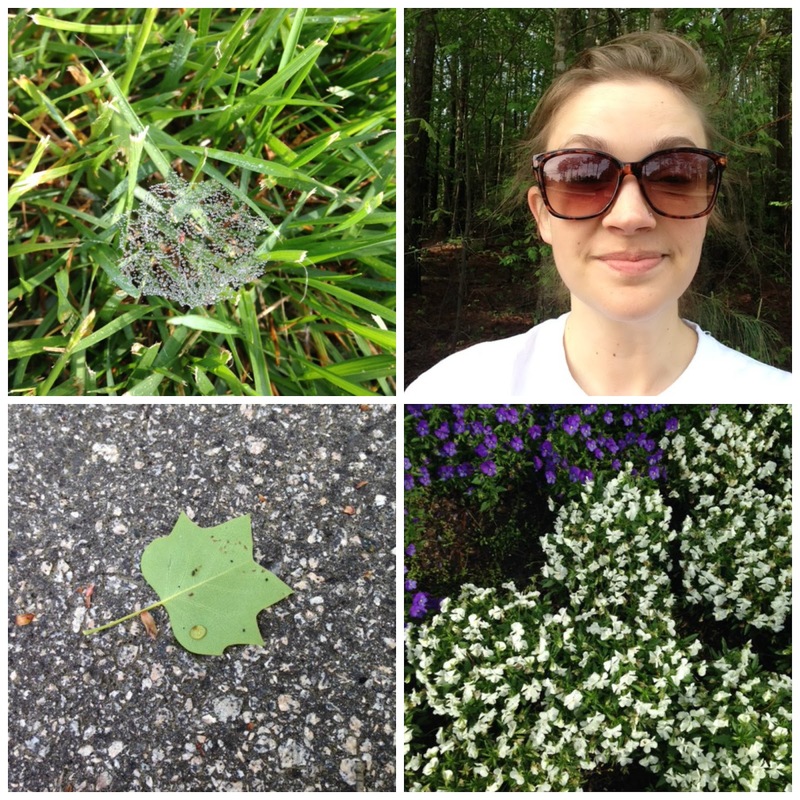 it may sound silly, but this morning walk really set a good attitude for the rest of my day. 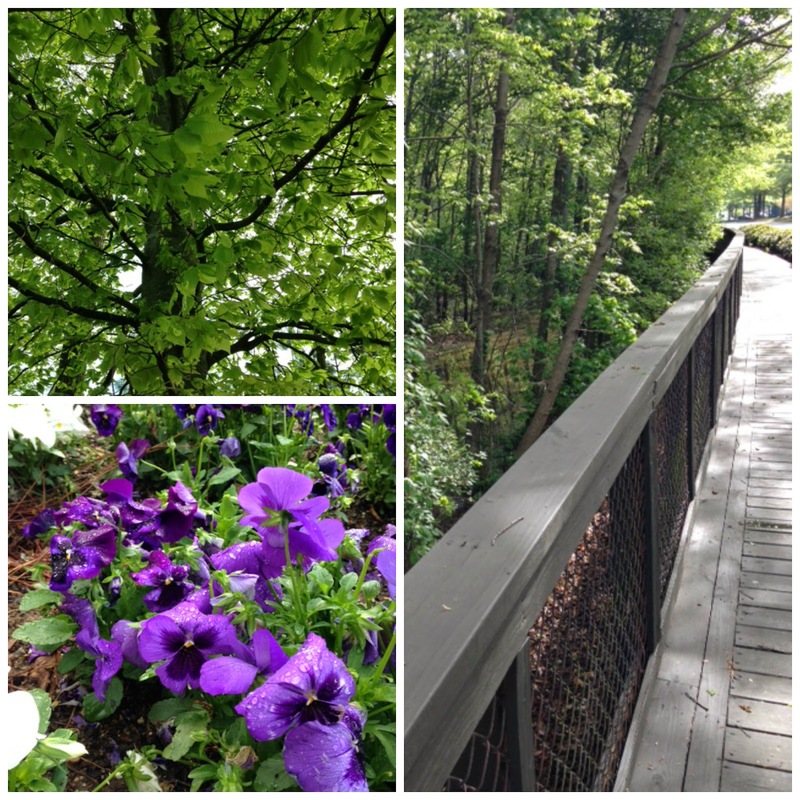 it was wonderful to be outside and enjoy nature and admire the beauty that is all around us. it was also fun to explore a part of my own neighborhood at a much slower pace than i normally pass through it. for me, enjoying simple things like going on a walk or run, reading a book instead of watching netflix, sitting by the pool and enjoying the warmth of the sun, or grabbing coffee with a friend makes the biggest difference in my day. they are small moments but so essential to my well-being. they remind me that it doesn't have to be an extravagant experience to be memorable or enjoyable. sometimes the smallest things make the biggest difference. so, here's to recognizing and celebrating the everyday moments, the small things, the little blessings. cheers! You can connect with Lacey on her blog, at her Etsy shop (which I adore! ), on Instagram, and on Bloglovin' and Pinterest, too. Thank you once again for guest posting! I love that we've got this in common and that I can have a great blogger like you on MY blog! I love the small moments!! Thanks for sharing Lacey :) These pictures are beautiful and making me long for this rain up here to go away!